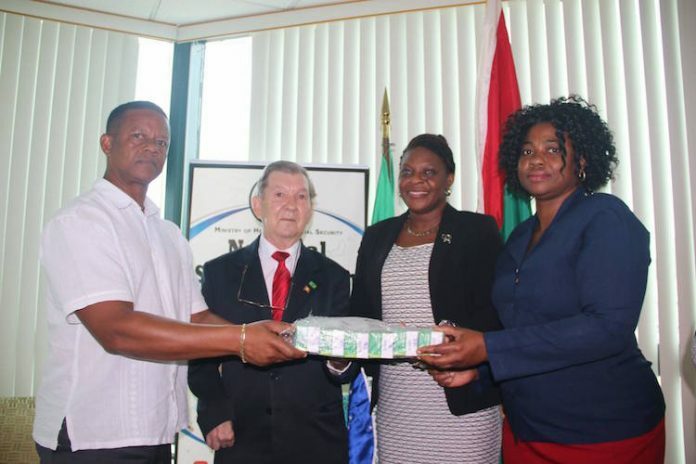 The Government and People of Brazil have given human haemoglobin to Grenada. Haemoglobin is a red protein responsible for transporting oxygen in the blood of vertebrates. Its molecule comprises four subunits, each containing an iron atom bound to a haem group. Ambassador Krawctschuk said the medicine is intended to treat Guillain–Barré Syndrome (GBS), and that the gesture falls within the 2 countries’ technical cooperation agreement. Chief Medical Officer, Dr George Mitchell considers the donation of 150 bottles as priceless. At the peak of the Zika viral outbreak in Grenada last year, more than 5 people contracted GBS, a secondary disease associated with Zika.